As a Social Worker in a homeless shelter I work with women who are in crisis. Being in a state of homelessness is a crisis in and of itself. Our shelter guest come in for emergency shelter and services to identify housing. Here is the thing. Not having affordable housing is not the root of their issue. What!? Yes, that’s right. For most of them, their entire life is in crisis, being homeless is just a “symptom” of being in poverty. Poverty is the real issue. As I explain in my post titled “Poor vs. Poverty” there is a difference between being poor and being in poverty. 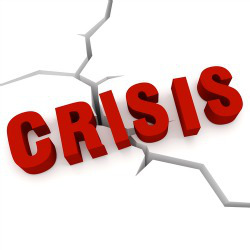 When most of our residents come in, their entire life is in crisis. Let me explain what a typical case looks like. Our average resident is a female between the ages of 20 and 30. A single mother with 1 to 6 six children. There are usually multiple fathers, which usually are not involved on a consistent basis in the child/children’s life, and usually provides no financial support. One or more of the children has some kind of learning disability and/or behavioral diagnosis. It is very likely that the mother has no high school diploma or GED. Some do have a high school diploma, but no higher education; and even with the diploma, their literacy levels, writing and speaking skills are usually elementary. The woman is usually unemployed, with no income. Or, she may have minimal employment or receive social security benefits that are not enough to secure housing independently. She may receive cash assistance from the state, which is typically in the amount of $400 a month, although most of our residents have “maxed out” of benefits, this is a 4 year lifetime maximum that Governor Snyder implemented. Next, many of the women also have excessive tickets, sometimes amounting in the thousands of dollars. So, this means their driver’s license is likely suspended. Some have criminal records, a misdemeanor or felony. Others have an open case with Child Protective Services (CPS), if not actively open, almost all of them have had some contact with CPS. A large percentage have a mental health diagnosis, the most common are depression and bi-polar disorder, some also have PTSD, and substance use disorder. Some also have physical health issues. In addition, most of our residents have little to no family support. Or they have what we refer to as a draining network. It isn’t that they do not have family at all, but their family is usually in a similar position and cannot help them. They are waiting in the wind to take advantage of any benefits the woman receives. They are oftentimes a bad influence in their life; constantly keeping them in drama, using their food stamps, encouraging them to get into physical fights, and so on. Another common experience is domestic violence, sexual assault, and childhood sexual abuse. Most of the women I work with have experienced some combination of the three. To be clear, not every woman who enters the shelter has this exact set of circumstances, but most have some combination of the issues above. I could make a list of the top ten, identify at least five for each woman, and provide a diagnosis of poverty; the same way a therapist utilizes a list of symptoms to diagnoses mental illness disorders. It is the same concept for poverty. Researchers and social service agencies are just recently discovering the symptoms, generational cycles, and solutions for poverty. I have provided practical advice in other posts. Some examples are pursuing an education, choosing a career, making good decisions, being prepared for opportunities, surrounding yourself with the right people, etc. Today the focus is not on solutions, the focus is on education. My number one goal is to help women in poverty, but the other focus of my blog is to educate the public on poverty. A lot of people that I talk to have an incorrect view of people who are experiencing homelessness. In a previous post, titled “Homeless Categories” I described several different categories of homelessness. This posts is focused specifically on women in poverty. No, they are not all lazy, no they do not all have 10 children, no they are not all on welfare, although some of them do fit these stereotypes. What I know to be true is that women who are experiencing homelessness and/or poverty are beautiful, smart, loving, and are usually trying the best way they know how to make it. Even when they display the behaviors that are stereotypical, it is because that has been the norm in their life, and they oftentimes do not know there is another way. Sometimes there is also a capacity issue. People can only do what they have the mental capacity to do. You can’t hold everyone to your own standards which are based on your family background and your abilities. You have to differentiate your norms from the norms of others. Your mental capacity may not be the same, or your self-esteem, or your values. That does not mean the other person does not have values, they just may be different than yours. One thing I always say, until you are in the situation, you do not know what you may do. People kill me with these false high standards. Do not get me wrong, you SHOULD have standards, and that is something that I teach my ladies. However, what I am saying is when you are in a high position in life, you can afford to have high standards. But have some compassion and understanding for those who have been in a lower position and often times had to do what they had to do to survive. Do not be so quick to judge. You don’t know what the other person has been through. It seems my advice today is not for women in poverty, it is for the people who are looking down on them and judging. If you are looking down on them, then you are looking down on me. I once was a teenage mother, I once experienced homelessness and instability, I once was a stripper, I have been divorced, and I am now a single mother. But what I also am is a survivor, a fighter, and a winner. Now I am educated, have a rewarding career, am stable and secure, and after all that I have been through I chose love as a way of life instead of bitterness, evilness, and hate. I was once living in crisis, but by the Grace of God I made it out. Now I just have regular problems. If you are in crisis, you can make it out too. The first step is to believe. I believe in you, now you have to learn to believe in yourself. This was a great way of sharing and informing ! Keep doing what you are doing. You are such an inspiration, and you always have encouraging words. I feel blessed to have met you and have you as apart of my life. Tamika, thank you for your comment on my blog. I feel blessed to have you in my life too. I really care about you and your daughter. I look forward to seeing everything that God has in store for you.